I love everything about the holiday season including giving gifts. But the more sustainable practices I have adopted the more I question the consumerism and the massive amount of trash that comes with it. 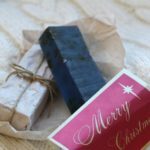 So I have pledged to only give sustainable gifts and I put together my 6 favorite gift ideas with something for everyone and different price ranges. My favorite brand is: Swell Bottle. 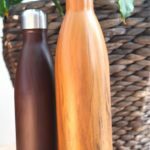 Your friends and families are going to love these stylish water bottles that come in the most beautiful designs. They are the best reusable bottles I have tried so far and I highly recommend for everyone to have one. They keep water ice cold for 24 hours and your drinks hot for 12 hours. 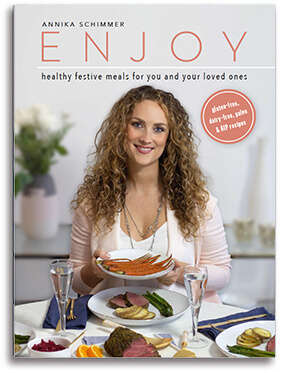 This is the perfect gift for your friends that are already trying to be more eco conscious. 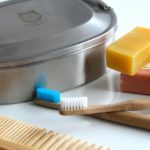 Package free shop in NYC offers a wide variety of products that you need in order to live a plastic free life. From cotton produce bags to personal care products this store has everything you need. If you are in NYC skip the delivery and go straight to the package free shop to give useful, long lasting zero waste gifts to your friends and family members. They not only help to avoid using plastic bags, they also come in all kinds of fun styles and designs. 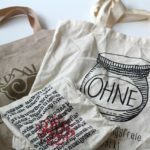 The Holiday markets are full of them, so take a look next time you go and gift these beautiful tote bags to your loved ones. These are the perfect mix between fun and useful. The brand Three blue birds offers all different kind of designs. They are machine washable, last up to 9 months and are compostable! For more information check out their website. If you are in NYC, skip packaging through delivery and go to the holiday markets. They have stands on Union Square, Bryant Park and Columbus Circle. Candles, soaps, infused olive oil, Xmas cookies and jams are the perfect gift. Nothing says I love you more than something handcrafted or homemade. If you are a crafty person this is for you. 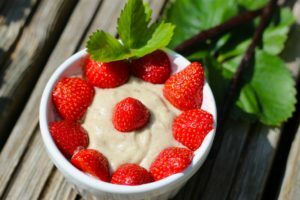 It is a great way to incorporate a friend, family member or kids into the fun. Pinterest is a great source for inspiration when it comes to DIY items. Memories of fun activities together are the most sustainable and fun things to gift. And the options are endless. Examples are concert tickets, massages, meditation classes or getaways, if you want to spend more. 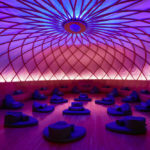 My favorite new discovery in NYC is a meditation place called Inscape. This place blew my mind and your friends and family members are going to love a gift certificate for a class there. Stores like package, free for example, ship plastic free. But if you end up ordering from amazon check out if the items are available under the frustration free shipping. Simply click the link and search for your item. 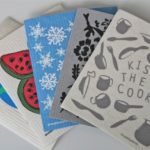 Lauren Singer from trash is for tossers has a great guide to zero waste gift wrapping. Check it out, I think its looks so beautiful. If you are getting presents in gift bags etc., save them to reuse for next year.